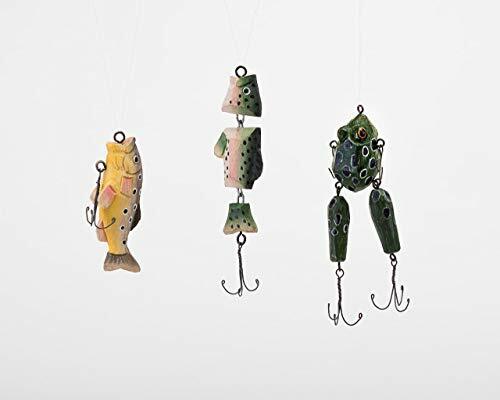 Original and spectacular fish figures, to give a special and distinguished touch to the Christmas decoration in your home, business or office. Created of wood and carved by hand, in beautiful colors and precise details. These adornments recall the tranquility of the sea and the passion for fishing. They are charming gifts for all those fans of fish, bringing to your environment in December times the tranquility and energy that radiates the marine fauna.